Can you attach the complete HTML source (of the live page). - Your server configuration is doing something confusing with regards client capabilities, and the <script> tags that should surround that code are somehow missing (this is why I'd like to see the HTML source to determine if the page is being written out correctly). 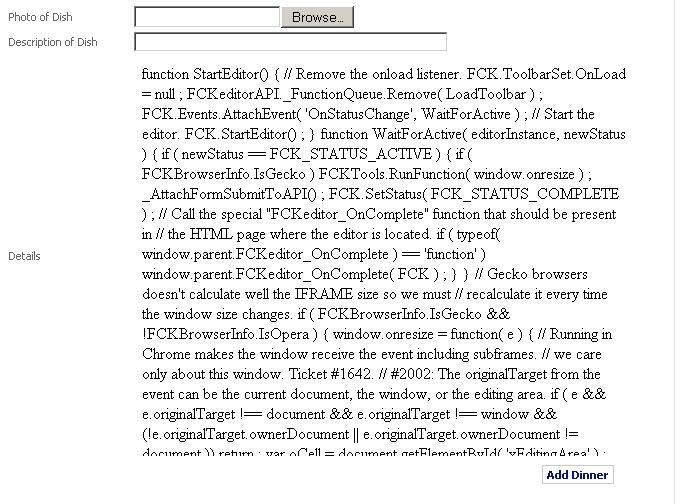 Normally IIS/.NET would do that itself as needed.